New Zealand prime minister John Key has called Britain's Prince George a "very bonny baby" after visiting the royal family at Balmoral in Scotland. 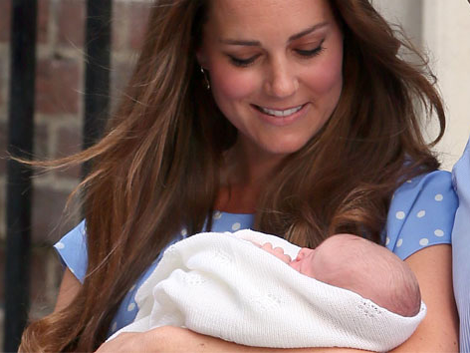 Britain's Prince George is a "very bonny baby". New Zealand prime minister John Key and his family, including wife Bronagh, son Max and daughter Stephanie, recently joined the royal family for a two-day stay at Balmoral, Scotland ? where Queen Elizabeth is enjoying her summer retreat ? and the Kiwi politician says he had an opportunity to meet the newborn prince, but didn't get to hold him. John also came face to face with the British monarch's famous pet corgi dogs. He told the New Zealand Herald newspaper, "The corgis were everywhere. They were very friendly." The prime minister praised new parents the Duke and Duchess of Cambridge (both 31) for being hospitable hosts despite being preoccupied with their son.